#Dede Download DSL – Dede mp3. Alien On Earth as tagged by Manners Records Fastest Rising dancehall artiste ”DSL’ unveils a brand new single titled ”Dede”. The song was produced by Brainy Beats. 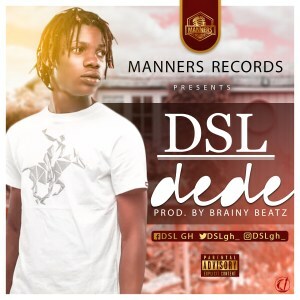 There has been no response to "Mp3: DSL – Dede (Prod By Brainy Beats)"